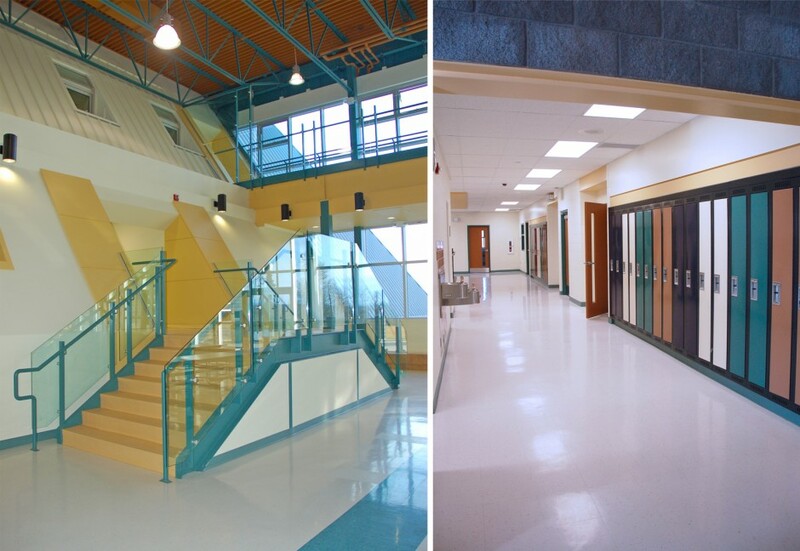 2010, Council of Educational Facility Planners International, Alberta and International Chapters. The Sunchild Reserve is located approximately 70 kilometers north-west of Rocky Mountain House, Alberta. With support from the Sunchild Education Authority, the school was designed to meet the day-to-day educational needs of the Sunchild students, but also the ever-expanding growth of the school’s popular E-Learning “community”. 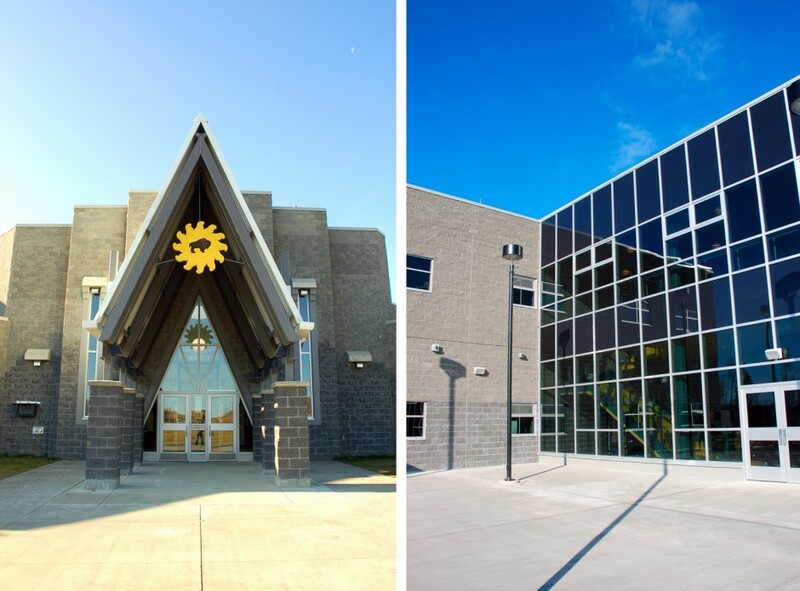 As an alternative method of delivering education, the school’s students in Grades 8-12 can choose from from 72 courses ranging from Adult Literacy, to English-as-a-Second Language, to Cree, to Aboriginal Studies. 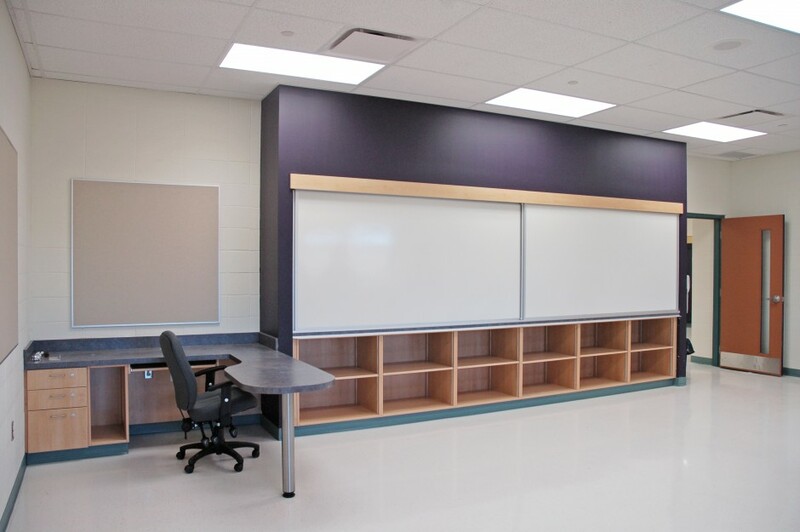 Courses are taught by certified and experienced teachers, spread throughout the Province of Alberta. Currently “Sunchild Cyber High” has 350 students (ranging in age from 12 to 60) taking a combined 750,800 courses. 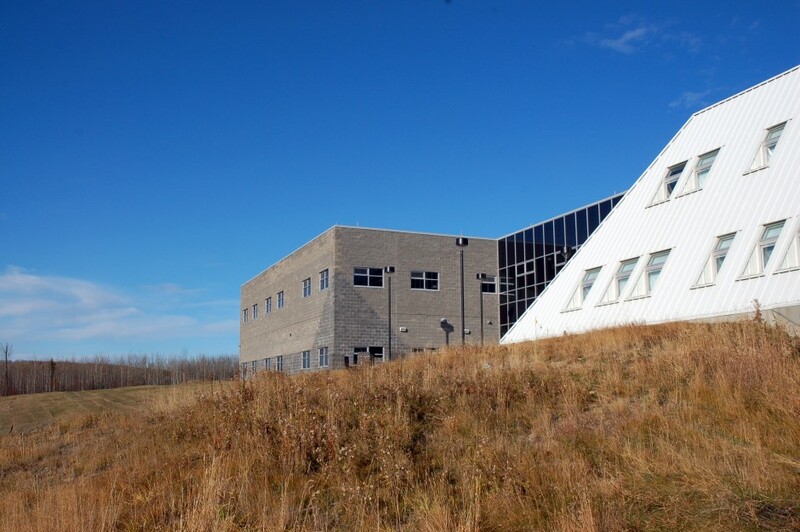 This alternative method has morphed into an educational opportunity for students on 23 reserves across Alberta and the Northwest Territories. The design concept for the project consists of a main expansion and new secondary entry. The front entrance was given a fresh update by the addition of a new canopy. 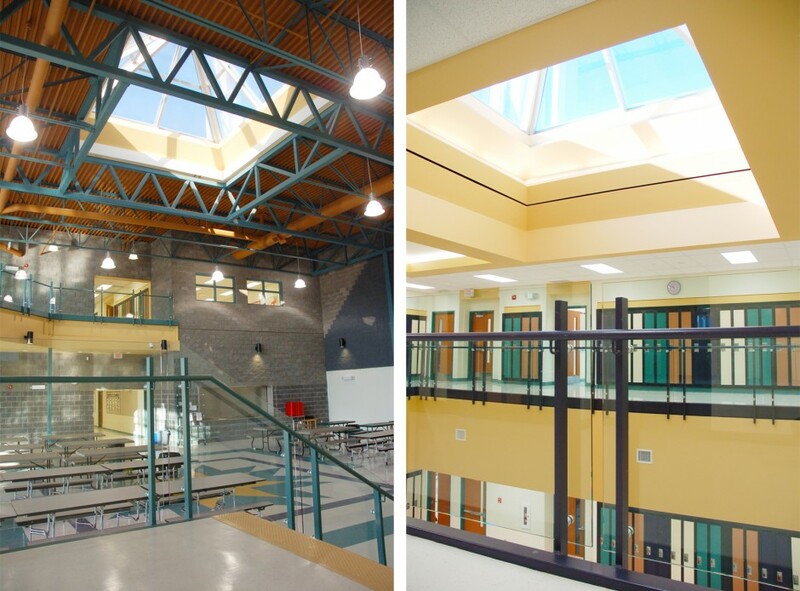 The school expansion design features a two storey, multi-purpose space intended to serve as a gathering space for school assemblies, a lunch area for students accessing the school’s hot lunch program and for community events.